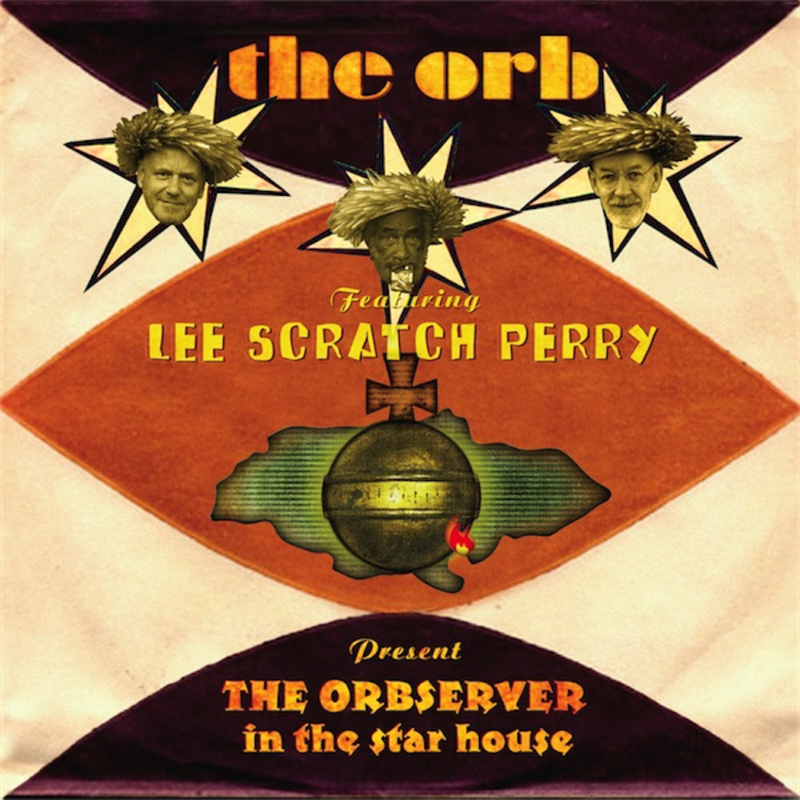 THE ORB FEATURING LEE SCRATCH PERRY / ORBSERVER IN THE STAR HOUSE / COOKING VINYLTime Boom De Devil Dead. Fire over Kingston. The Orb`s womb-like pulse, ever more refined. ON-U with the sharp edges buffed and blurred. Basic Channel with instinct over theory. The pretention hidden, made an insider`s joke. More direct than both, but this Sound`s simplicity is a bluff. Are you listening carefully? Unafraid of the obvious, but the obvious deceptive in its complexity, its playfulness. Cocking a snoot at you for falling for its hoax. A music made from the haze of a thousand drones. A million micro samples in the mix. Techno trickery its camouflage. Rave thunder its smoke screen. A Levee-breaking beat constructed from secrets sampled from the world at large, the great outdoors. Percussion, the song of water dropping from a vine leaf, sucked in to innerspace by the void left by a Jah Wobble-like mantra groove. “Hold Me Upsetter” a calypso lullaby interrupted by Girls FM. Yma Sumac meets the Black Science Orchestra. Lee a see-er, conjurer, crusader, straight edge shaman. The purest positivity in every syllable. Guru? No Rolls Royce. No Flim flam. No sell out. Alex`s Funk in forgotten loops. Philly strings form the horizon. “Congo”, the guardian of tribal echoes, memories in mercury. Aural “Altered States”. Everything as ecstatic as Weatherall in the studio for “Perpetual Dawn”. Roots music. Acid House roots music. 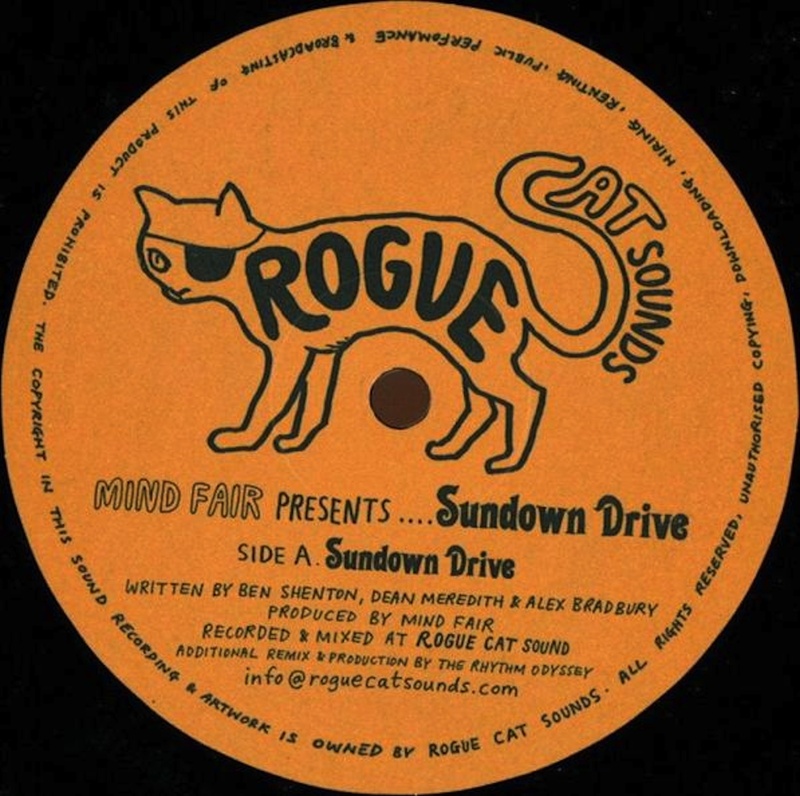 MIND FAIR / SUNDOWN DRIVE / ROGUE CAT SOUNDSRogue Cat Sounds are one to watch. When I whack all the promos we receive onto CDs for the car, to select the evenings` listening, the Rogue Cat productions always leap out. Each release has been completely different to the last, each paying faithful homage to a fragment of that thing called House. Early 80s Disco Rock, Late 80s NY House, and this is classic 2000s Jo Claussell and Spritual Life. Jephete Guilliame, “The Prayer”, “Voyage Of Dreams”, “Al Di Yo”. Strings, pianos, acoustic guitars and the whole family on abataque, bongos, castanets, claves, congas, cowbell, monkey stick, rototom, sand blocks, seashells, shakers, surdo, tambara, triangle and zill, the track slowly evolving into a live rendition of “Strings Of Life”, taking me back to the madness / one epiphany of many of Ziggy`s. Rhythm Odyssey make the connection to Derrick May`s genius more obvious, by switching some of the machines back on and upping the rolling Jazz piano. Waves at play on a Mediterranean beach. Impossible to pass at the bass-line`s insistence. If this had been made by a Japanese artist 10 years ago you`d have to kill for a copy. 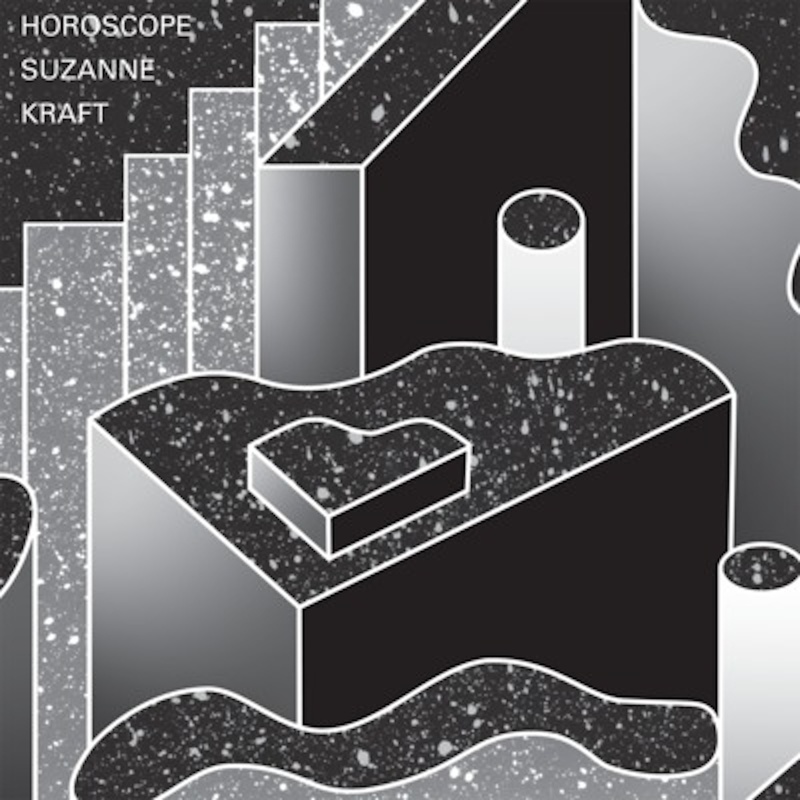 SUZANNE KRAFT / HOROSCOPE / YOUNG ADULTSCrooked time tapped out on a Chicago bedroom`s desk and chair. A wooden cog clicking, an outsider in all this future. Deee-Lite`s “What Is Love?” bassline, Acid pizzicato, Will Powers` smiling synths, and The Freaks on the edit. The Peech Boys` “Special” and Nu Shooz on `ludes. Barney Sumner`s come-down blue Ibizian guitar. Prince climbing The Ladder and finding God. Lauer re-imagining Jefferson`s House. Jeffery Osbourne`s “Plane Love” landing on Cantoma`s beach. Reunion rather than departure. Sunshine conjured. Maxmillion Dunbar takes the flute from “Feel” and collages beats from 80s Hip Hop hits and hand drums. Def Mix loved up, but rougher than that. Something like Soul II Soul meets Frankie`s “Whistle Song”. Herbie Mastermind rocking Cheryl Lynn`s “Encore” with Jonny Chingas. Eddie Ruscha`s Secret Circuit morphs “No Worries” into a squelching samba accompanied by marimba waterfall and alien brass. A selection of tracks from these releases can be heard on my radio show, The Remedy, this saturday – local FM (8 – 9 PM Japanese Time) – Midday in the UK (1 PM in Europe) – on Karuizawa FM – to stream you need to click on web radio – then chose the first option – インタ-ネトdeラジオ – the shows are archived on Samurai.FM the following week here and you can find the Facebook page here.